Showee, what a weekend. Jam-packed! It started on Friday night with a braai at @mkmuerte's with @Rubyletters, @scottjorton, @clairam and @obitadicta. And ended with me falling asleep on the couch while they played the most boring game of tetris I've ever seen (Guitar Hero). 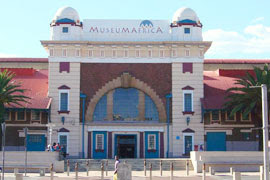 After that we headed off to Museum Africa (the actual expedition for our morning). Now we'd both heard it wasn't terribly impressive, museum-wise, but since we only had a morning, I figured it was still worth a visit. Allowing me to form my own opinion and all ... And I didn't think it was all that bad at all. I mean, it wasn't quite what I was looking for museum-wise (I'm more a fan of dinosaurs and what not), but I found it more impressive than the time I went back to the Cape Town Museum as an adult (in about 2002, I think). There, the displays just felt old and crusty and broken. Here it at least felt fairly new. They have a giant geology section (which I'll remember to take The Peeb to, if she ever comes up to visit again) and I especially enjoyed the photo-displays, which aren't really what I expect in a museum, honestly ... unless they're old historical photos. I really did enjoy the huge historical photo of the square outside Museum Africa ... fascinating :) But, the photo-displays were still fab because there were loads from China (I assume a specific exhibition they happened to have up - the place doesn't come with a map or have much on-site documentation, honestly). OMG, I'm going to be there in a few months! All should start getting booked in the next week or two, yikes. After that we headed off to @clairam's for the rest of the day for her Surf 'n Turf House-Cooling ... where we enjoyed an afternoon with no rain (and even a bit of sunshine) and all ate plenty of ribs & prawns, so yummy! and then, as if my weekend hadn't been fabulous and full enough, on Sunday, I woke up early and planned a double-feature movie day at Rosebank (that way I could enjoy lunch and shopping in between). 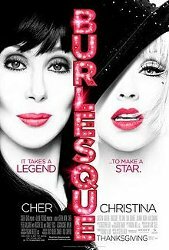 I started with Burlesque, which I thoroughly enjoyed! Gawd, if I could sing, it must be absolutely incredible to have as powerful a voice as Christina. And Cher, while well suited to the role, I thought, really had had a *lot* of work done. Sheesh, I'm not sure how she still sings since her top lip is clearly no longer able to move whatsoever. Sadly Eric Dane was pretty boring in his role (because, hello, usually I heart him alotalot!) but luckily, Cam Gigandet was fab to drool over instead tho. I wandered around between shows and bought more photo frames for my photo-wall project. I only need 4 more frames to put up all the photos I've chosen so far (will end up being about 30 frames in total). 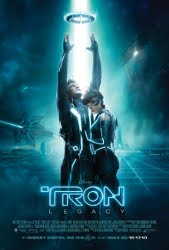 And then I went to watch Tron 3D. Hmph. I did a good job of picking two very opposite movies for my double feature, and had a decent break between watching them, but this movie really just didn't deliver for me (and again, would someone remind me, that I simply do not get the point of 3D and should stick to not bothering watching it :P). The storyline was pretty flat, and although I really did love the fact that they only filmed the "other" world in 3D, a nice touch, I thought. But that said, viewing normally filmed stuff thru 3D glasses is awful because you lose a fair bit of colour thru them :P (I took mine off). So yeah, overall, pretty fun, but other than that not much to recommend it. Sheesh. Spent about 8.5hrs at Rosebank yesterday! So yeah, I think I may need an easy week this week to recover from my weekend - haha.